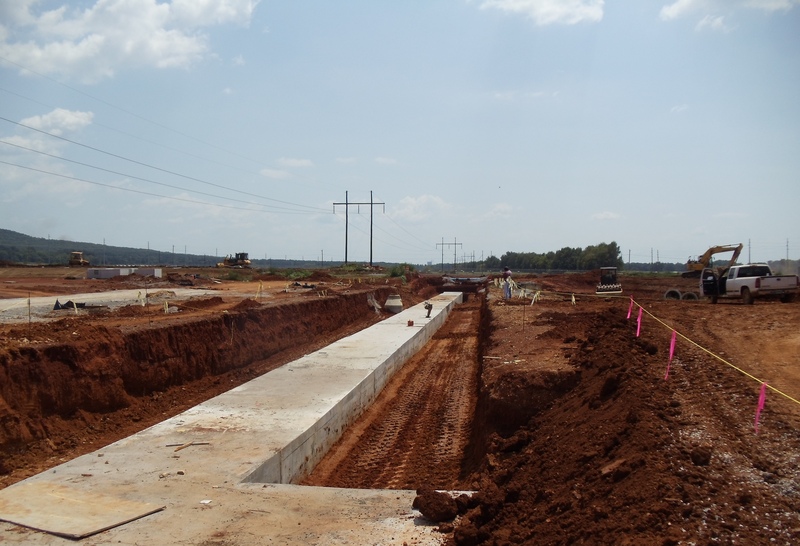 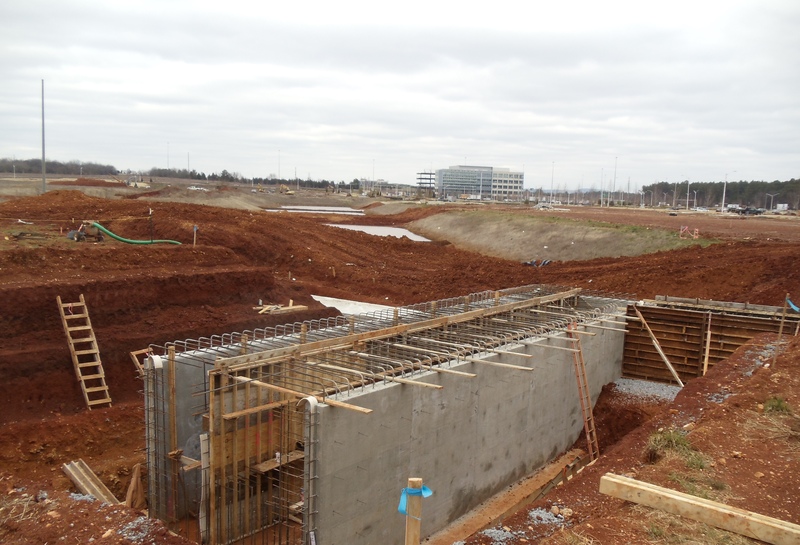 Drainage Structures – Heavy Highway contractor Huntsville AL | Miller and Miller, Inc.
Miller & Miller Inc. performed work on approximately 3,800 LF of Cast-In-Place Concrete Box Culverts to help launch this joint venture development. 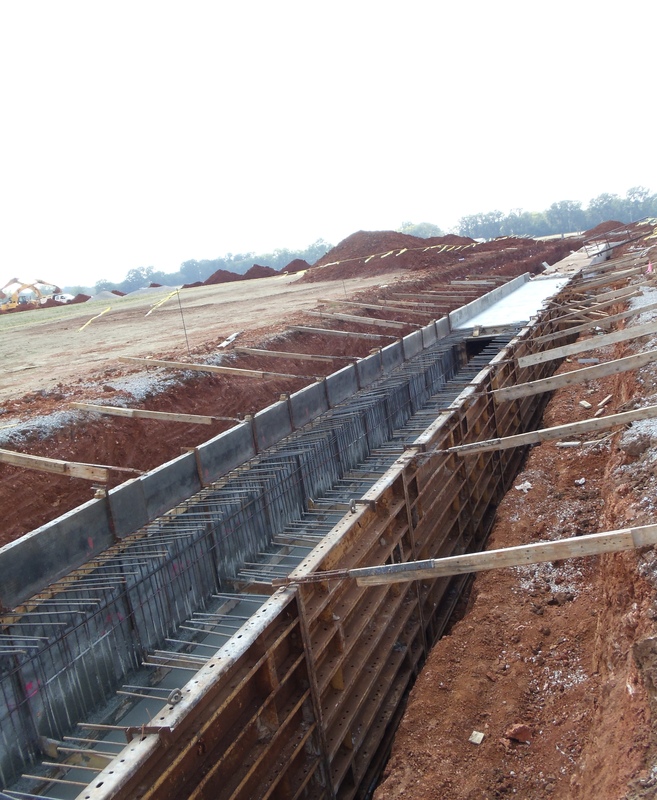 Miller & Miller was able to provide tremendous value to this project by providing a more economical and watertight cast-in-place box culvert option. 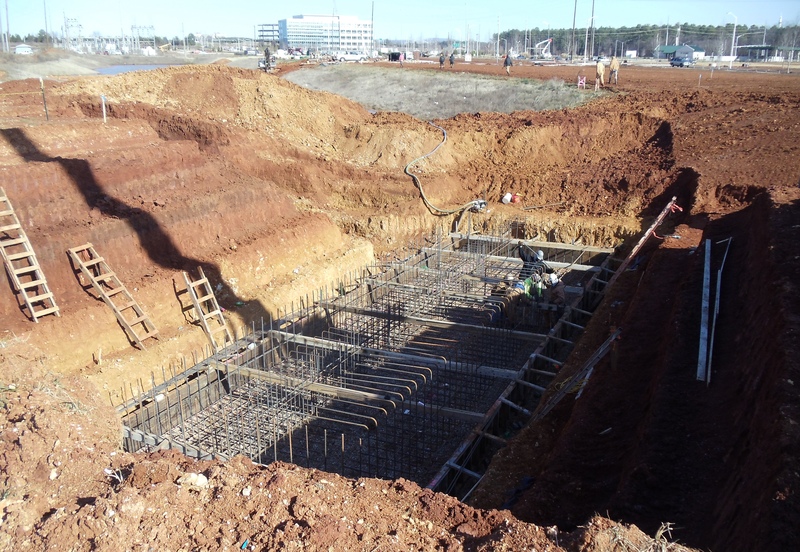 Miller & Miller Inc. was also tasked with constructing a large scale watertight outlet control weir structure to help control the water level of the proposed lake.